Texas Monthly, The Wall Street Journal, and Modern Luxury. “Julie's knowledge of the Dallas market is unparalleled. She went above and beyond every step of the way.“ - Brad P.
“We have used Julie and her team to buy and sell several different properties over the years. She is one of the most knowledgable realtors in the market.“ - Greg K.
“We had no intention of using a realtor UNTIL we found Julie. Her attention to detail is amazing. We quickly became grateful clients. I can’t recommend her enough.“ - Dori A. “We loved working with Julie. She made a stressful international relocation seamless, calm and actually fun! Hands down one of the best agents in Dallas.“ - Jen and Greg G.
“Julie is honest, knowledgable and fun to work with. We had such a positive experience and I highly recommend her and her team.“ - Carolyn A.
Julie Provenzano brings nearly two decades of real estate experience to Compass, as her impressive sales accomplishments have consistently earned her recognition as one of Dallas’ best realtors and top producers. She has been featured as a property expert on HGTV’s Real Estate Intervention and has been highlighted in numerous top publications in including The Wall Street Journal, D Magazine, Texas Monthly and Modern Luxury. Julie has extensive experience in both the luxury end of the Dallas real estate market and with professional sports clients, and in 2012 was named the Official Real Estate Agent for the NHL’s Dallas Stars where she handles all residential transactions for players and team personnel. As the Director of Compass Dallas’ Sports & Entertainment Division, Julie can now take her knowledge of the unique needs of her sports clients and plug it into the company’s national sports and entertainment network. 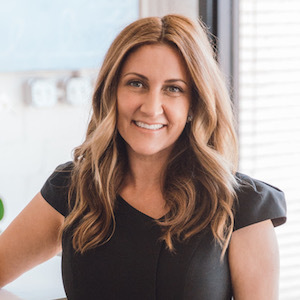 Born in Boston and raised in New Jersey, Julie began her professional working career with Ignite Sports Media, where she managed the website for the NHL’s Washington Capitals. It was here that she met her husband, a former front office executive of the Capitals and Dallas Stars and now a member of Provenzano’s Compass team. Together, they currently reside in Preston Hollow raising two proud little Texans. Julie and her group enjoy working with buyers and sellers in all price ranges, from first time home buyers to builders to relocating executives and takes pride in the fact that her relationships with her clients doesn’t end when the transaction closes. With their extensive sports’ background, the Provenzano’s are truly bringing new meaning to the ‘team-based’ approach to real estate. This beautiful home in Preston Hollow has been extensively remodeled and is move-in ready. Featuring an open floor plan that flows seamlessly from indoors to out, this residence is ideal for entertaining. Gorgeous picture windows & numerous french doors let natural light flood the space and highlight every inch of perfection. A generous living room anchors this one-story home and enjoys a wall of french doors that open to approximately 1,000 SF of covered patio space with views of the pool and elegant landscaping. The home enjoys spacious bedrooms, multiple living spaces, media room, office, formal dining & a gorgeous kitchen with all new cabinetry, SS appliances & coffee-wine bar. Designer touches throughout.